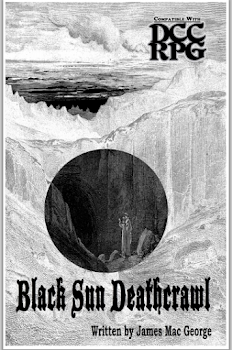 It's the return of DCC Donnerstag! Long-time followers of the blog might remember when I made a point of writing something DCC-specific every Thursday. Well, today I'm trying to bring back the tradition by introducing you to a magic item that's been kicking around in my brain for a while now: the Mummified Twin! "Yes, I hosted a mummified twin for a time, and for that time, the secrets of the universe loomed so close! His subtle whispers - I always thought of it as a 'he' - guided my dreams and massaged my ego. In fact, had I not severed my tie to him, I'm sure that today, I'd be a greater sorcerer than even Amor Ba'gish. It's a shame that the price of his aid was so high..." - Ahal ghul-Azan, failed necromancer. "Mummified twin? No thank you, that's just disgusting." - Master Guang-Yuan Jo. Among those many magical artifacts that are both prized and reviled, the mummified twin occupies a place of honor. During mankind's slavery at the hands of the Elder Races, the Elder Races experimented upon any human subjects they saw fit. Conjoined twins, it seemed, held a special interest for the Elder Races, who experimented with improving the mental capabilities of those twins, treating the host twin as little better than a vehicle for the transport of the conjoined twin. 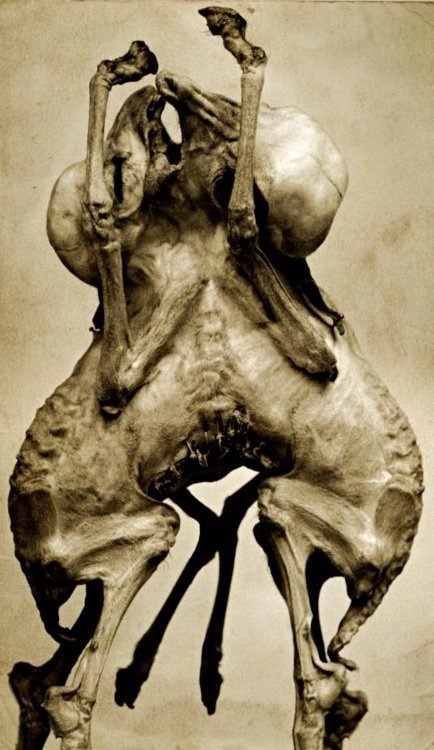 The experimentation went on after the death of either twin: should the conjoined twin have survived, it would be grafted onto a new host; if the host had survived, the conjoined twin would be mummified, pickled or otherwise preserved for transplantation onto another host. After transplantation into generation after generation of human host twins, the mummified conjoined twins had become something distinctly other, something unearthly and inhuman, their minds open to the stunning vistas of psychic mysteries and forbidden arcana that comprise the secret substrata of existence. 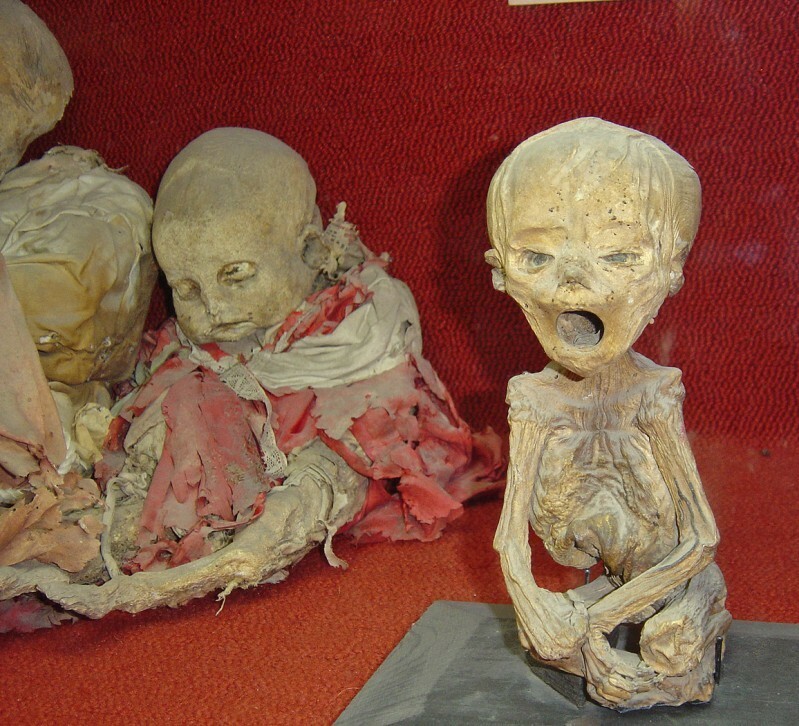 When found, the mummified twin resembles a mummified child, often swaddled in bundles of cloth, protected against the elements. Being little more than skin and bones (literally), this mummy is relatively light weight, as well as quite small, rarely longer than eighteen inches in overall length. Upon close examination, it becomes obvious that the "child mummy" is missing parts of its anatomy, often legs or arms, and frequently its body is little more than a trunk, ending in a sharp spinal protrusion. 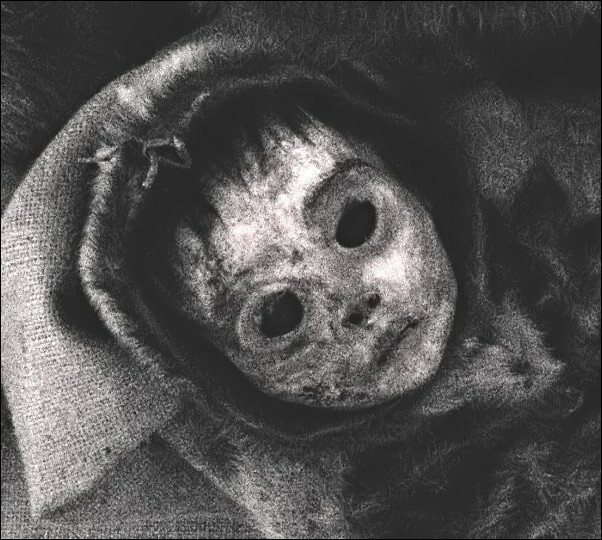 By shedding at least one hit point worth of blood onto the mummified twin, it sends a psychic message first to the source of the blood and then, if the call is unanswered, to everyone in the area, one at a time. This psychic call includes an explanation of the nature of the mummified twin (that it is a symbiont of sorts that can offer cosmic revelations at the cost of mere bodily sustenance); the twin immediately bonds with the first person who accepts the call and grabs the body, burrowing the spinal protrusion into his flesh and doing 1d7 points of damage in the process. Once bonded with an individual, the mummified twin does not share its insights directly with the host as if it were sharing memories, but rather through constant murmurings and promises to reveal the true, hidden nature of the universe. The bonded twin draws off its host for sustenance, and the host now requires twice the normal amount of food and drink. The twin offers a small advantage in the casting of some spells, conferring a bonus to spell casting checks for the following spells equal to the level of the spell: Detect magic (1), ESP (2), Consult spirit (3), Demon summoning (3), Planar step (3) and Wizard sense (4). Furthermore, every month that a host is bonded to a twin he must make a DC 15 Will save or move one step closer to Chaotic; for every month that a Chaotic host is bonded to a twin, he must make a DC 15 Fortitude save or begin to exhibit signs of chaos corruption and mutation (that part we'll leave up to the Judge who has a ton of appropriate resources out there to draw from). The most potent use of the mummified twin's power is as an oracle of sorts. Once per gaming session, the host may permanently burn a point of Luck (this will not regenerate for thieves and halflings, it's permanent) and as the twin any one question. Once asked, the Judge must roll a d20 in secret; if the result is less than 18, he must answer the question as truthfully as possible (normal wish-type or augur-type logic applies), but if the result is 18 or better, the Judge must deliberately mislead the player. Should the player act upon the false information, the twin immediately forces a saving throw the same as the one the character would make at the end of a month bonded to the twin (see above). By giving over a small amount of his cosmic essence to the twin (read, Luck), the host character is inviting not only the twin's oracular power, but also the corruption that a connection to cosmic forces can bring. Once at least three points of Luck have been offered up to the twin for answers to questions, the twin's final power manifests. For the price of one point of permanent Luck burn (again, this may not be regenerated by thieves & halflings), the twin may cast any of the following spells at a Caster Level of 8: Detect magic, ESP, Consult spirit, Demon summoning, Planar step and Wizard sense. Casting a spell in this manner immediately causes the host to experience corruption or mutation from the chaotic forces that drive the universe. There's no getting around it. While the mummified twin offers a great deal of utility and flexibility to adventurers, particularly to spell casters, the price that is exacted for its more robust powers can be devastating. The bond between host and twin is not merely one of sustenance and security; the twin also uses the host as a lightning rod for the chaotic and corrupting forces that its towering psychic presence attracts.